I don’t know about you, but, no matter what I do, with every year that passes, I keep getting older… And the older I get, the more I start to worry about what’s happening to my skin. These days, I find myself wanting to give my skin the best care possible; but, as a tree hugging, animal loving, chemical avoiding yogi, I have to take extra care in selecting which products I use. No chemically-laced, animal-tested, un-environmentally friendly products for me, thank you. Just a lightweight vegan moisturizer that I can use every day please! Back in my teen and tween years, I always loved using scented lotions, body scrubs, and sprays. 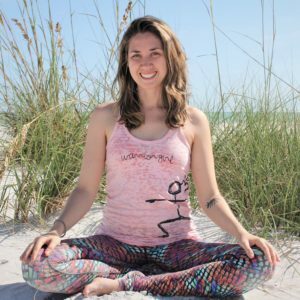 Then, as I reached my 20s, picked up my yoga practice, and started living more consciously, things changed. I stopped wanting to use those types of products. Now I prefer more natural options – vegan moisturizers, soaps, body mists, shampoos and conditioners that are all cruelty-free and made with natural ingredients. Many people like me choose to make their own vegan skin care products. And while I did dabble with the whole DIY thing for a while, I have to be honest, that got old pretty quick. Fortunately, there are a few, good quality, highly effective, pretty affordable and completely VEGAN skin care products out there. Recently, I’ve had the very good fortune of being introduced to a few products from The Body Shop®, including a vegan moisturizer than I am OBSESSED with. If you’re not familiar with The Body Shop, they are a global beauty brand that offers cruelty-free skincare, hair and makeup products that are made with the finest, ethically-sourced ingredients you can find. Aside from the amazing products they provide, I love this company because of the work that they have been doing to put an end to animal testing around the world. They were the first international beauty brand to campaign against animal testing in cosmetics, and they have spent decades fighting for this cause. The best part is that their products are all amazing, and I have to say, their Almond Milk Body Yogurt is my new favorite thing. I’ve only been using this product for about a week, and in that time, it has easily become a must-have for my bathroom vanity. 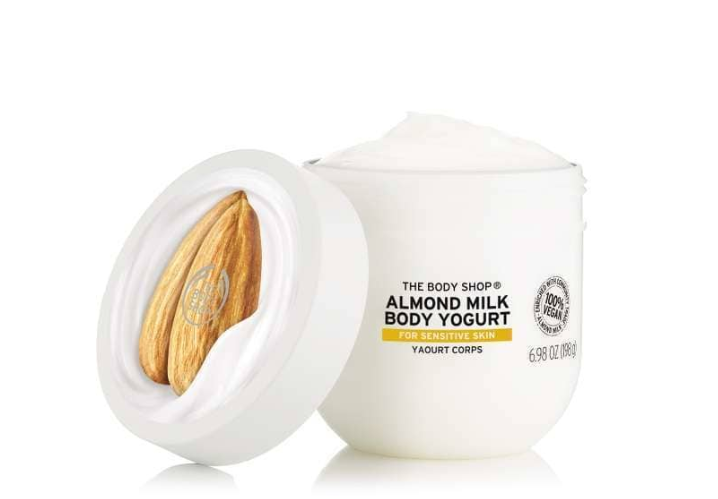 The Body Yogurt is a 100% vegan moisturizer that is super lightweight, and it absorbs into my skin almost immediately. It’s perfect for summer time, especially here in Florida, where most moisturizers, vegan or not, melt off your body the second you step outside. Of course, this product comes in a variety of scents, but I personally love the Almond Milk option for it’s subtle, yet fresh and powdery scent. After application, it always leaves my skin smelling sweet and feeling soft, yet it never seems to feel oily. I personally trend toward dry skin, so naturally, I love how the Body Yogurt basically transforms my skin into something that is silky, soft, and smooth. But, most importantly, this particular scent is specifically designed for sensitive skin, which is perfect for me. I’ve always had sensitive skin and it’s really nice to know that there are vegan products like this that I can invest in. The Body Yogurt is a perfect complement to the Almond Milk and Honey Cleansing Bar soap, (which is also designed for sensitive skin). In fact, my favorite time to apply the Body Yogurt is right after a shower. It’s also really nice to apply just before bed so that when I wake up, my skin still smells sweet. More often than not, however, I find myself using the Body Yogurt in the morning before taking on the day. In this case, I like to top it off with a spritz of The Body Shop’s Coconut Body Mist. All of these products remind me of the lotions, scrubs and body sprays I used to use all the time; the only difference is, I feel really good about using them. They say that conscious living is both a blessing and a curse, and I can certainly attest to that; but knowing that these products are all ethically tested, made with nature’s best ingredients, and completely vegan, means I can enjoy them all the more. So, if you’re looking for some top-quality, cruelty-free, 100% vegan products that won’t break the bank, I recommend checking out everything the body shop has to offer. And if a sweetly scented, lightweight, full-body vegan moisturizer sounds like your kind of thing (or even if it doesn’t) I highly recommend the Body Yogurt. Trust me – you’re going to love it. 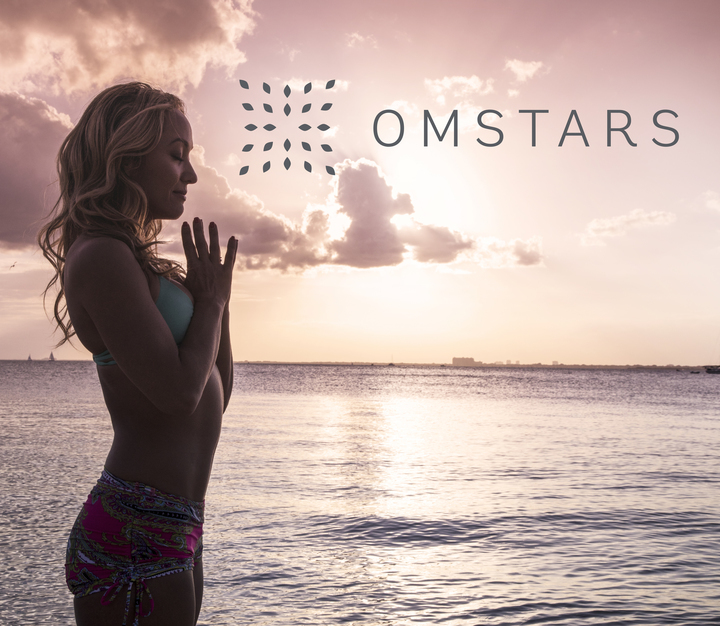 Alex Wilson is a writer, a 200 hour certified yoga instructor, and the content manager for OMstars – The Yoga Network.